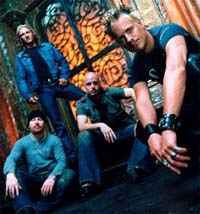 American rock band formed by guitarist/songwriter Carl Bell and bassist Jeff Abercrombie in 1994. The band has sold nearly four million records worldwide. They have released five studio albums. No original members of the band remain, except for vocalist Brett Scallions, who was out of the band himself from 2006 to 2010.